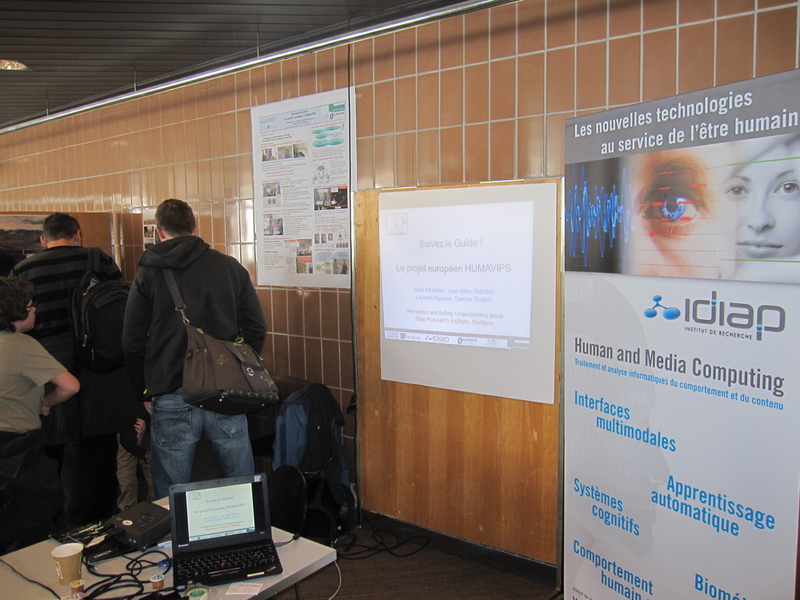 The IDIAP Perception and Activity Understanding group presented the results of the HUMAVIPS project work at the 2013 Festival de Robotique organized at EPFL in April. 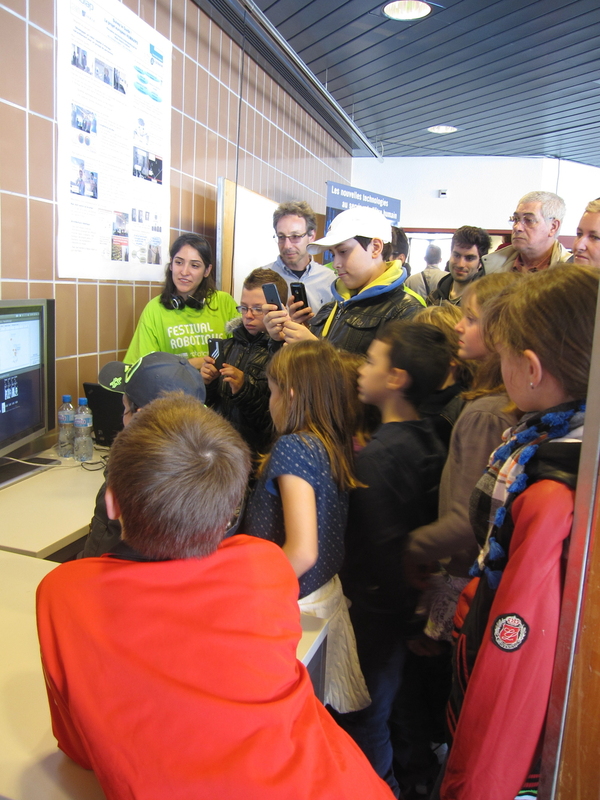 Our boot demonstrated Nao as a Museum guide, explaining different posters placed behind it, and adapting its dialog depending on public: number of people, their age and gender, and whether they were showing interest or not, as measured through their Visual Focus of Attention (e.g. 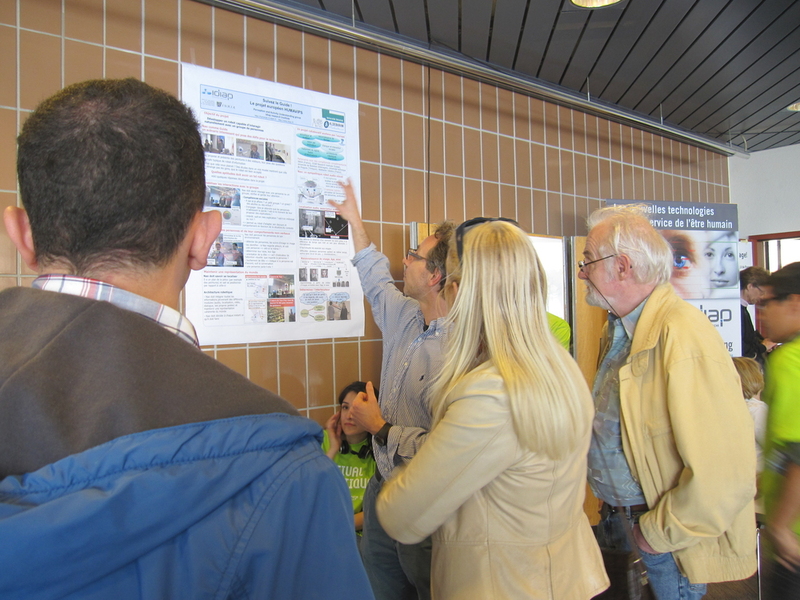 see our VFOA research papers HBU2012 or ICMI2012). Around 17000 people attended the festival. 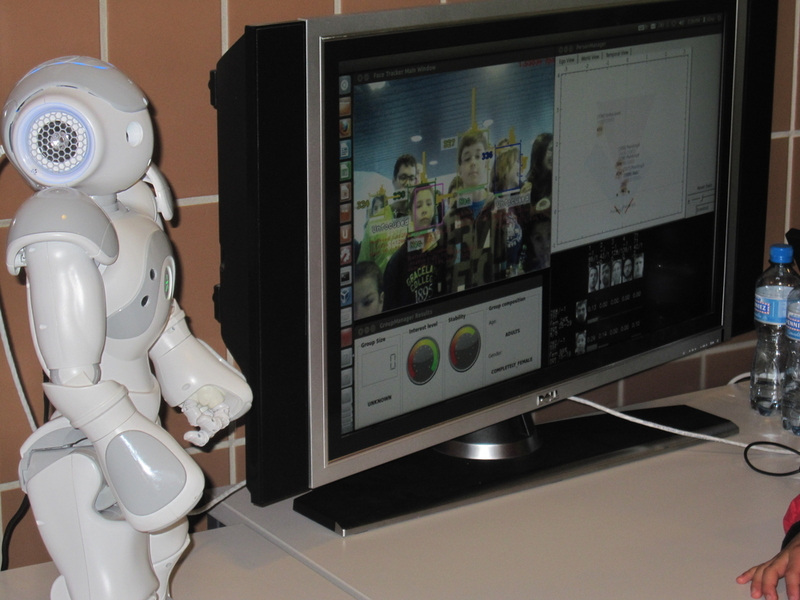 In our case, we got a continued attendance, from 10am in the morning until 6pm, with people (and a lot of kids) interested in the robot, and curious to understand what is inside Nao's humanoid body (or head....). The master of ceremony Vasil Khalidov, who worked on the demo, answering Nao's questions under the interested surveillance of the public. 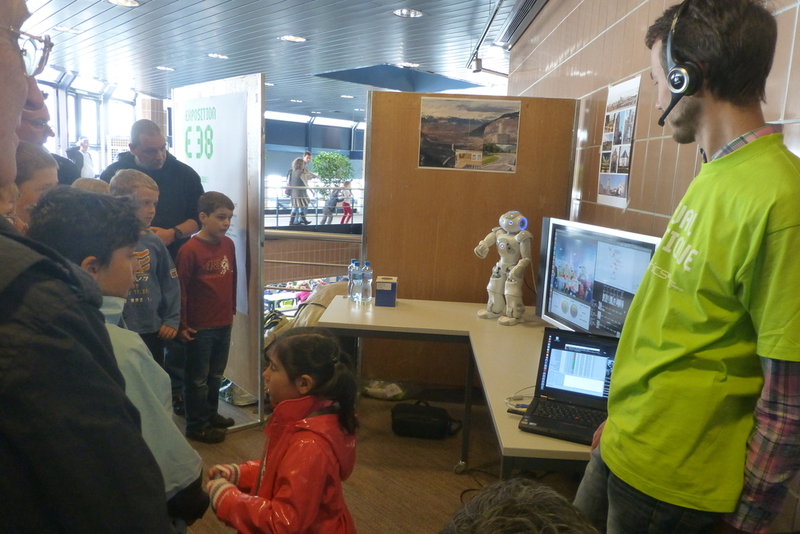 Jean-Marc Odobez, explaining the project and robot's main perceptions elements. .... setting a high load on the person tracker and perception components ..... !